Berto: If There is One MMA Guy Who Upsets Floyd - It's McGregor! ANDRE BERTO, the last man to step into the ring with Floyd Mayweather, believes Conor McGregor can defy the odds and triumph in Las Vegas on August 26. 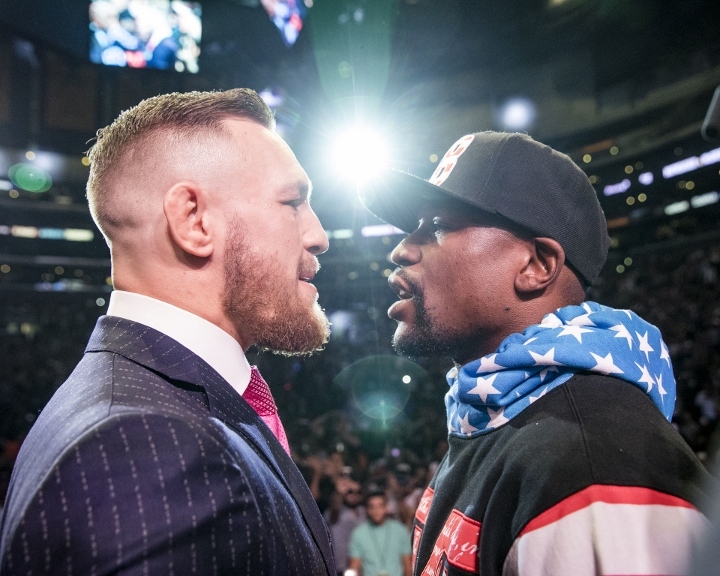 The 33-year-old welterweight boxer spoke to The MMA Hour host Ariel Helwani this week and shared his thoughts on the most lucrative fight in combat sports history. Despite his belief in McGregor, Berto concedes that Mayweather is a remarkably unique fighter, and if ‘The Notorious’ does not have success in the early rounds, it could be a ‘bad night’ for him. “He’s going to have to work (Mayweather), and put (his work) into effect early, or Floyd will pick up on it and it will turn into a bad night for (Conor),” he added. Berto also recalled the frustration he felt during his September 2015 bout with Mayweather, telling Helwani how he felt ‘vulnerable’ after seeing Mayweather slip his punches on multiple occasions. “Throwing all these punches and missing, and out of your peripheral vision you can see that he’s looking at you whilst you’re throwing these punches. You start feeling... like you’re hanging in there,” he said. The former WBC welterweight champion went on to describe hails Mayweather’s elusiveness, labelling him a ‘professor’ in the ring. Despite boasting a record of 49 victories and zero defeats, Mayweather has come under scrutiny for what many believe is a difficulty in fighting southpaw-stanced opponents. Berto doesn’t believe McGregor’s stance will be as big a factor in the fight as many think.